Reserve a decorated private party area in Cran Central at Edaville for 2 hours, enjoy unlimited access to all the rides & attractions from open until close. Please let us know if anyone in your party has a food allergy. How did you hear about our party rooms? Add themed paper products to your party! Themed set of napkins, plates and cups for ten people. All birthdays must be paid in full at time of reservation as space is limited. 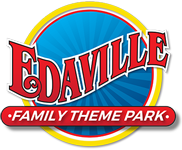 If you need to cancel a birthday reservation, 20% of your fees are non-refundable in accordance with the Edaville Family Theme Park refund policy. Cancellations made within two weeks of reservation date are non-refundable. 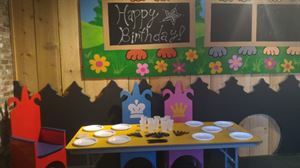 Edaville Party Package: Price is $360 for two hours of nonstop fun & learning for ten people (minimum party is ten guests). Please contact salesteam@edaville.com for any additional birthday admission tickets. The price for each additional guest attending the party is $36.00.